The Fixman Safety Vest is versatile for construction and maintenance work. Features breathable mesh fabric, reflective markings and handy velcro closure. Includes: 1 XXL Vest. Terra High Visibility Pink 5-Point Tear-Away Safety Vest ANSI Class 1 compliant is ideal for a variety of jobs including officers, site supervisors, professional surveyors and foresters. Made with lightweight, comfortable and durable Polyester Mesh. This safety vest has two front waist pockets with flaps for secure storage, 2 microphone loops, plastic ID badge holder, and D-ring harness access at center back yoke. Designed with 2 inch reflective tape over a 4 inch contrast stripe ensures optimal visibility. 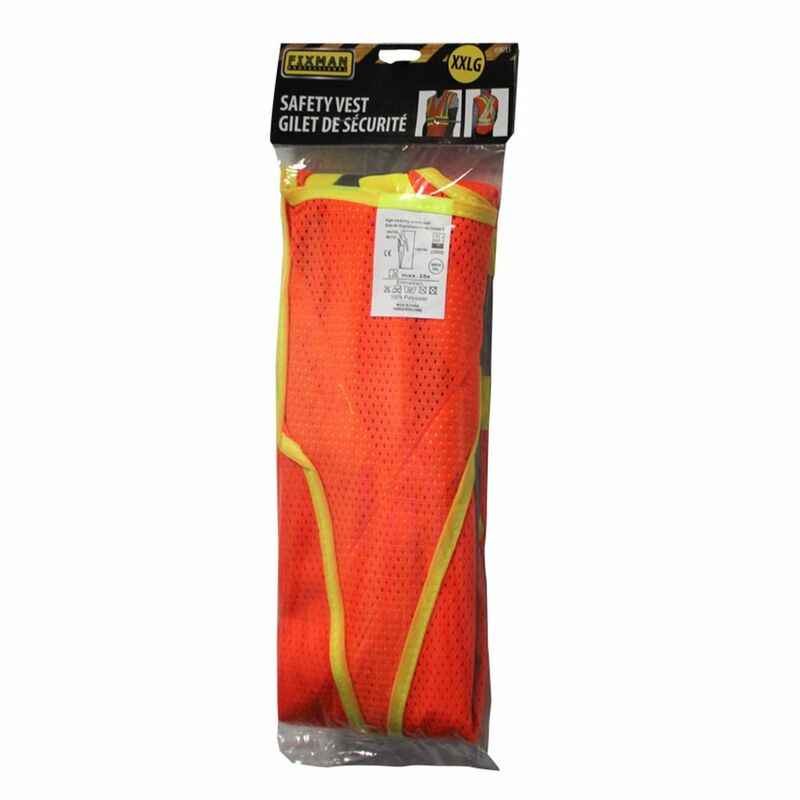 Terra High Visibility Yellow 5-Point Tear-Away Safety Vest ANSI Class 2 compliant is ideal for a variety of jobs including officers, site supervisors, professional surveyors and foresters. Made with lightweight, comfortable and durable Polyester Mesh. This safety vest has two front waist pockets with flaps for secure storage, 2 microphone loops, plastic ID badge holder, and D-ring harness access at center back yoke. Designed with 2 inch reflective tape over a 4 inch contrast stripe ensures optimal visibility. Safety Vest XXL The Fixman Safety Vest is versatile for construction and maintenance work. Features breathable mesh fabric, reflective markings and handy velcro closure. Includes: 1 XXL Vest. Safety Vest XXL is rated 5.0 out of 5 by 1. Rated 5 out of 5 by vest from Shipped quickly, exactly as represented I ordered 10 of these vests, they were exactly what I expected.